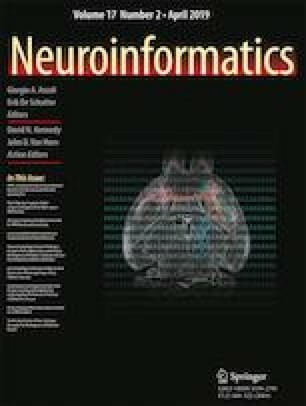 A crucial quest in neuroimaging is the discovery of image features (biomarkers) associated with neurodegenerative disorders. Recent works show that such biomarkers can be obtained by image analysis techniques. However, these techniques cannot be directly compared since they use different databases and validation protocols. In this paper, we present an extensive study of image descriptors for the diagnosis of Alzheimer Disease (AD) and introduce a new one, named Residual Center of Mass (RCM). The RCM descriptor explores image moments and other techniques to enhance brain regions and select discriminative features for the diagnosis of AD. For validation, a Support Vector Machine (SVM) is trained with the selected features to classify images from normal subjects and patients with AD. We show that RCM with SVM achieves the best accuracies on a considerable number of exams by 10-fold cross-validation — 95.1% on 507 FDG-PET scans and 90.3% on 1374 MRI scans. Alzheimer’s Disease Neuroimaging Initiative (ADNI) is a Group/Institutional Author. We thank Instituto de Pesquisas Eldorado, FAPESP (grant number 14/12236-1) and CNPq (grant number 302970/2014-2) for financial support. Data collection and sharing for this project was funded by the Alzheimer’s Disease Neuroimaging Initiative (ADNI) (National Institutes of Health Grant U01 AG024904) and DOD ADNI (Department of Defense award number W81XWH-12-2-0012). ADNI is funded by the National Institute on Aging, the National Institute of Biomedical Imaging and Bioengineering, and through generous contributions from the following: AbbVie, Alzheimer’s Association; Alzheimer’s Drug Discovery Foundation; Araclon Biotech; BioClinica, Inc.; Biogen; Bristol-Myers Squibb Company; CereSpir, Inc.; Cogstate; Eisai Inc.; Elan Pharmaceuticals, Inc.; Eli Lilly and Company; EuroImmun; F. Hoffmann-La Roche Ltd and its affiliated company Genentech, Inc.; Fujirebio; GE Healthcare; IXICO Ltd.; Janssen Alzheimer Immunotherapy Research & Development, LLC. ; Johnson & Johnson Pharmaceutical Research & Development LLC. ; Lumosity; Lundbeck; Merck & Co., Inc.; Meso Scale Diagnostics, LLC. ; NeuroRx Research; Neurotrack Technologies; Novartis Pharmaceuticals Corporation; Pfizer Inc.; Piramal Imaging; Servier; Takeda Pharmaceutical Company; and Transition Therapeutics. The Canadian Institutes of Health Research is providing funds to support ADNI clinical sites in Canada. Private sector contributions are facilitated by the Foundation for the National Institutes of Health (www.fnih.org). The grantee organization is the Northern California Institute for Research and Education, and the study is coordinated by the Alzheimer’s Therapeutic Research Institute at the University of Southern California. ADNI data are disseminated by the Laboratory for Neuro Imaging at the University of Southern California. Alzheimer’s Association. (2017). Alzheimer’s disease and dementia. http://www.alz.org/. [Online; accessed 20 Dec 2017]. French, A., Macedo, M., Poulsen, J., Waterson, T., Yu, A. (2017). Multivariate analysis of variance (MANOVA). http://userwww.sfsu.edu/efc/classes/biol710/manova/MANOVAnewest.pdf. [Online; accessed 20 Dec 2017]. Grünauer, A., & Vincze, M. (2015). Using dimension reduction to improve the classification of high-dimensional data. arXiv:1505.06907. Payan, A., & Montana, G. (2015). Predicting Alzheimer’s disease: a neuroimaging study with 3d convolutional neural networks. arXiv:1502.02506. World Health Organization. (2017). Dementia fact sheet. http://www.who.int/mediacentre/factsheets/fs362/en/. [Online; accessed 20 Dec 2017].